The Korean entertainment industry is currently going through a temporary break after the Sewol ferry accident that happened week. C-JeS Entertainment, which houses artists like JYJ, Gummy, Song Ji Hyo, Lee Jung Jae, and many more, has also decided to temporarily halt the activities of the artists under the management to give ways to news about the rescue operation. The agency posted an official announcement on their official website with a message to show their condolence of the tragedy that now has killed 64 people and 238 passengers are still missing. All of the appearances that are scheduled for this week are cancelled. Not to mention that JYJ’s Yoochun’s currently airing drama, “Three Days”, has also cancelled since last week. C-JeS Entertainment and AVEX‘s long legal battle has been resolved. Last year in January, AVEX was told to stop asserting their sole management rights for JYJ in Japan, and were told to pay C-JeS Entertainment 660,000,000 JPY (about 6.5 million USD) in damages. 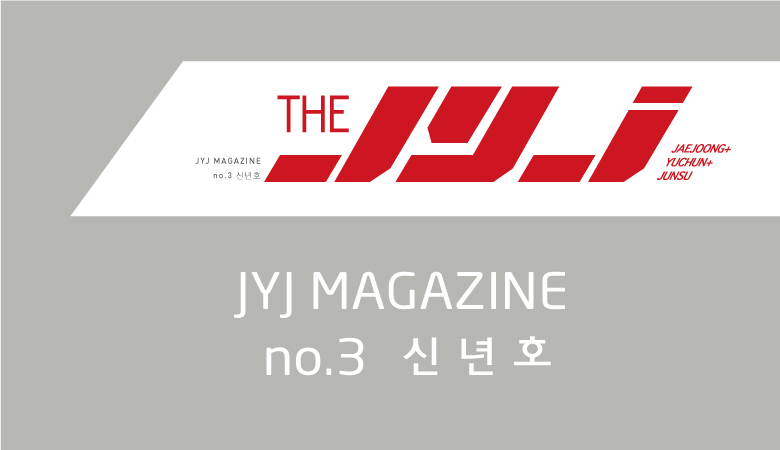 The JYJ Magazine No.3 will be published in the format of solo photo booklets of Jaejoong, Yoochun, and Junsu. Each magazine will consist the respective member’s individual activities during the second half of 2013 until the first half of 2014. Photo books for each member will have pictures taken by different South Korean professional photographers: Mok Na Jung (for Kim Jaejoong), Cho Sun Hee (for Park Yoochun), and Kim Young Joon (for Kim Junsu). Misc. : Please note that the physical look for each magazine edition may vary. Note: pre-order HERE on C-JeS Store homepage (membership login required). Please also note that JYJ3 is not responsible for any collective purchase orders advertised in the comments section. In commemoration of their 10 year anniversary, JYJ revealed their feelings and plans for 2014, saying “In the new year all three of us plan to perform together.” They recalled their memories from their past activities on C-JeS Entertainment’s homepage on the 26th. 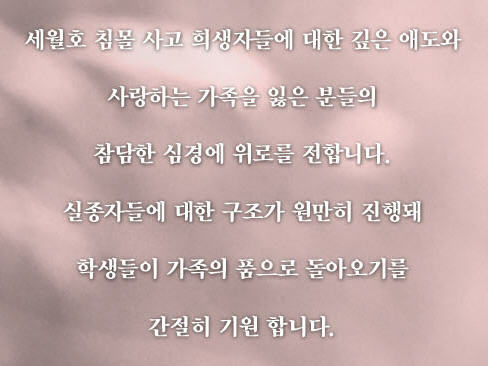 JYJ wrote, “No matter what activity we had, we were asked the most questions about our 10 year anniversary. We remember every one of our “firsts,” including the first time we stood onstage together, the day of our first album release, our firm interview, and even our first performance. Throughout the past year, we’ve given a large number of answers. We feel very proud, and shared stories about ourself, about our members, and the times we’ve spent together. But now that the year is coming to an end, the one thing that rings loudly in our hearts about our anniversary is ‘thank you,’” and showed their gratitude towards their fans. The following are Q&A’s with JYJ. Q: What do we want to say to each other? A: Now instead of thinking about myself, it’s more about the members that know me better than I know myself. It’s not enough to call them my brothers. It’s about us three! Q: How can we sum up the past 10 years? A: Thank you! is what we want to say. Especially for the undying passion and the ongoing trust that you’ve showed us. We’re really thankful. Even when we went through difficult times, when we faced new challenges, and when we were met with new worlds, we were filled with gratitude each passing day. We’re thankful for every little thing, and are even thankful for recognizing what a great thing it is to be thankful. No matter how many times we say it we don’t know how to fully express this heart of thanks. Q: What do we want to say to our fans? A: We’re connected by an invisible string. I think we’ve become increasingly close! We’re so grateful to our fans for cheering us on in every one of our activities, for commending us on a job well done, and for pouring out unconditional love all the time! Thank you for cheering for not only our music but as individual persons, and for supporting our youth. You always make us smile. Doesn’t it seem like every one of our meetings help us deepen our understanding of each other? We want to make up for that heart, and are committed to working hard to do our best! Q: What will our future look like in 10 years? A: No matter what it looks like, we will be together, and want to play you our music. Even if that time comes, we will still be fearless in face of a new challenge. We will deepen our colors as human beings, and will always give thanks and stay humble. Q: What are our plans for 2014? A: We want to promise you this. As JYJ we will show you the three of us standing on one stage! We will definitely show you! We ask that you continue to look out for us in our solo activities. We love you! Do you all remember JYJ’s art gallery that they created to share a special memory with their fans? In order to do something meaningful for the end of the year, we have prepared a ‘Artwork Sharing’ charity auction with JYJ. The artwork that was created by the members of JYJ for their Membership Week gallery will be auctioned off to their fans, and the money that is collected from this event will be donated to those in need to give them a sense of hope as the year comes to an end. All the donations collected from the auction will be donated to the Seoul Children’s Social Welfare Center, Joongrang-gu’s Elderly Care Hospital, Mapo’s Jandi’s Center for the Disabled, Gangnam’s social welfare center for the disabled, and Seoul National University’s children’s wing in Korea, as well as World Vision Japan. We hope that many people participate in JYJ’s special ‘Artwork Sharing’ charity auction. C-JeS Entertainment has released their official statement on their lawsuit against violations of portrait rights. Through an explanation from their legal party, C-JeS announced that they would be filing a compensation for loss lawsuit against two magazine publications, which used photos of JYJ without the members’ permission, and the trials would be closed by mid-December. ◆A compensation for loss lawsuit has been filed against two magazine publications for using photos of the three members of JYJ without their permission. ◆Many rounds of court debates have already taken place, and the verdict is set to be made in mid-December. ◆The two magazine publications in question have used photos from news articles and press conferences in dozens of pages in their magazines, as well as publishing A4-sized photos for a special edition booklet. These acts are seen to be a violation of publicity rights that goes beyond reasonable news coverage. ◆The two magazine publications in question have argued that their actions lay within the parameters of reasonable news coverage, but their use of photos in dozens of pages and A4-sized pages cannot be seen as such. 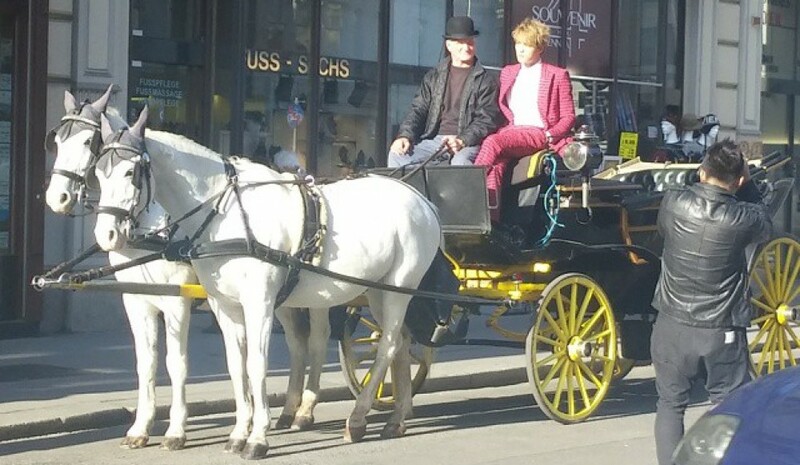 ◆Regarding the use of celebrity photos, acts like this have already been recognized as a violation of publicity rights both domestically and overseas (US, Japan etc), so we expect similar verdicts for our lawsuits. ◆However, we are not out to ban or limit proper news coverage, and we believe that photos can definitely be used for news coverage, but only if it is done in a reasonable parameter. [TRANS] 131112 [C-JeS] This is C-JeS Entertainment. Today, the person who was responsible for spreading malicious rumors and false information about the members of JYJ on DC Gallery under the ID ‘Holic’ came to our offices to give her apologies. The parents of ‘Holic’ asked us to take into consideration the fact that she is a minor and requested for favorable arrangements to be made, but we have rejected their requests. Our compensation for damages lawsuit will continue on as planned, and as we have stated before, this company will not engage in any favorable arrangements or consultations with malicious netizens. Not only are we dealing with the recently surging spread of malicious rumors and false information about the members of JYJ, but we are also investigating all slanderous and abusive comments that are guilty of contempt with the help of the Cyber Terror Response Center’s intelligence team. We will continue to post notices on these cases as they develop, and we would like to send a warning to those spreading malicious slander and false rumors to others. Last year, our company declared war against vicious netizens who spread malicious rumors and attacks against JYJ. The crimes of some vicious netizens have been proven through countless lawsuits we have filed against them. However, we would like to post the following notice as the number of incidents involving false rumors and malicious attacks being made online against the members has not decreased. 1) Our company has a special task team in charge of dealing with malicious netizens online, and they do their own monitoring and check over the screen-capture material that fans send in. This team is also in charge of a process that reports and files for legal compensation at investigative organizations, such as the police, when a crime has been verified. 2) In the case of the person who is active in DC Gallery under the ID ‘Holic’, they have not received a criminal penalty because they are a minor, and we are currently preparing a lawsuit against their parents instead. Because the truth of the crimes of ‘Holic’ have already been recognized, we ask that everyone deals with the posts of ‘Holic’ by not responding to them at all, and screen-capturing the evidence and reporting it to us. The same applies to ‘Sasahara’, who we talked about on our Japanese homepage. We are currently locked in a lawsuit with him at the Tokyo District Courts. We will continue to deal with malicious netizens such as ‘Holic’ and ‘Sasahara’ through the cyber investigative squad and legal representatives, so we please ask fans to deal with these incidents by not reacting or responding to them. 3) Our company is currently monitoring both portal sites and various communities, such as DC Gallery, Bestiz, and Daum cafes (closed membership). We would like to warn everyone that even if a site is only open to certain netizens through a membership system, spreading false rumors or malicious attacks are crimes of defamation and contempt that are be punishable by law. Also, we would like to stress that we will not engage in any favorable agreements or settlements with malicious netizens. 4) We will continue to post notices when verdicts are made on our lawsuits in order to stop these instances from recurring. 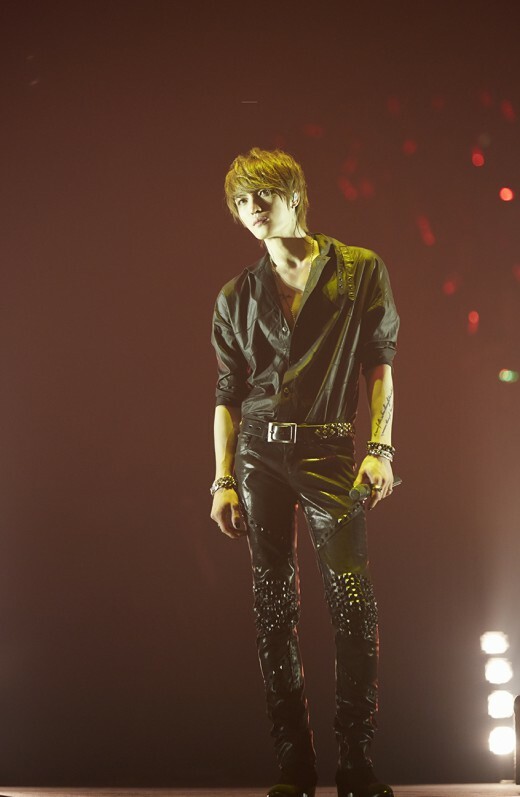 Kim Jaejoong will kick off his Asia tour with a concert in Seoul. We would like to notify you of the following ticket reservation information. Concert dates: 2013 November 2nd (Sat.) 7p.m. 2013 November 3rd (Sun.) 6p.m. (1st round) 2013 October 8th 8p.m. (2nd round) 2013 October 10th 8p.m. Please join Kim Jaejoong at the first stage of his Asia tour! 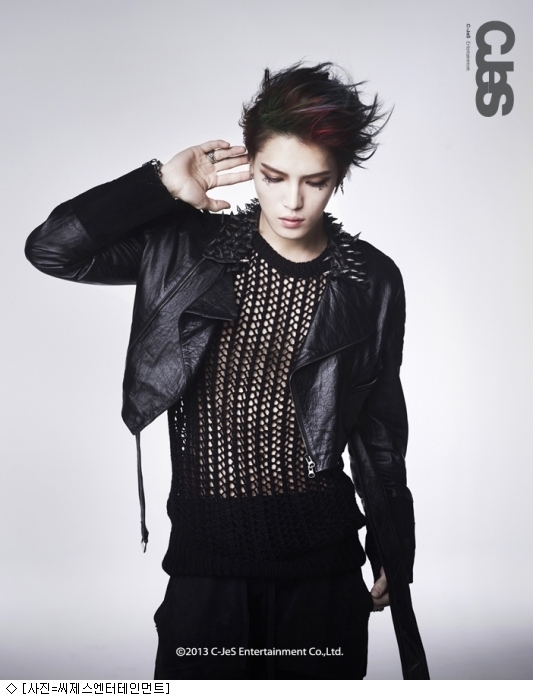 After Jaejoong releases his first solo regular album, he will start Asia tour with Seoul concerts (11/2~11/3). After Seoul concerts, Jaejoong will have a concert in Japan! Nov. 15th~16th, Yokohama Stadium! See you there! We would like to bring to your attention to the Twitter account of a person who recently impersonated a representative of JYJ. We have discovered that this person called ‘Yuichi Sasahara’ has created various posts regarding JYJ’s activities through his Twitter account (@cashboxman). However, we would like to notify you that both our agency and JYJ have no connection whatsoever to Yuichi Sasahara, or any companies related to him, and we have never passed on any information to him. We know that misunderstandings may have arisen about JYJ’s management due to the posts that have been spread through Yuichi Sasahara’s Twitter account, but JYJ themselves have already stated that they will continue to work with C-JeS in the future. Moreover, we would like to emphasize that his claim on Twitter that, ‘Yuichi Sasahara and JYJ have met before’ is completely false. We have also verified that he has made many posts attacking our agency and JYJ’s families. We will lodge a complaint against Yuichi Sasahara for spreading false information about JYJ’s activities, as well as attacking our agency and JYJ’s families, and request that he delete his posts immediately. We will also send him a warning so that such events do that happen again. We would like to urge fans to stay wary in the future as our agency and JYJ cannot take responsibility for any damages that may arise from false information that was not released through our agency’s official homepage, or that is different from the posted official information. Yesterday’s was held with the purpose of showing support for the success of the Asian Games. 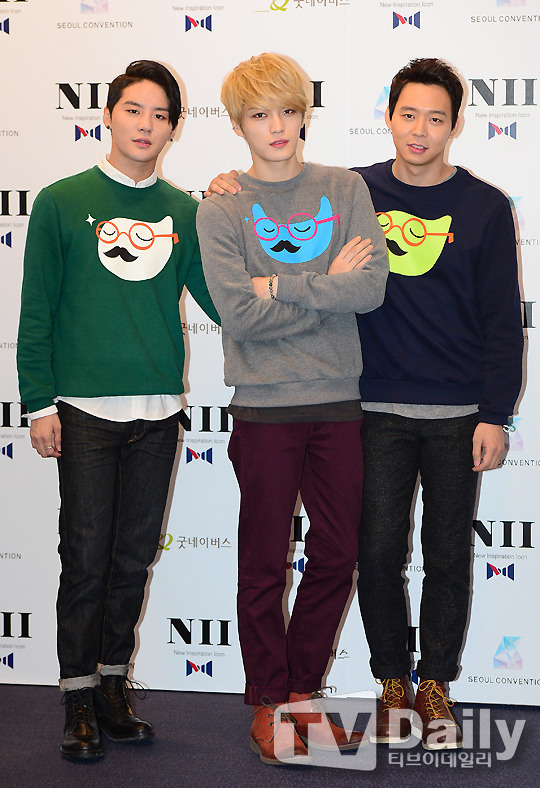 However, JYJ the honorary ambassadors of the Asian Games, were not in attendance. The fact that the honorary ambassadors of the Asian Games weren’t attending an event that was set to commemorate the tournament didn’t make any sense to us, so we submitted an official objection to the committee and the related organizations. We were met with an agreement from the committee, and we took action against the organizers, sponsors and broadcaster of the event and requested a change in the line-up. The Asian Games committee received an opinion from the Incheon Development and Tourism Committee that JYJ would not be able to appear in the event, and expressed to the organizer that this was not a hope for ‘JYJ to appear in the concert’. A second request was made for JYJ to appear in the concert to appear on stage to introduce the sporting event and announce their overseas promotional activities for the second half of this year, as they are the honorary ambassadors and this was a concert to commemorate the Asian Games. However, MBC, the broadcaster of the event, and the Incheon Development and Tourism Committee notified the Asian Games committee that their second request would also be denied. 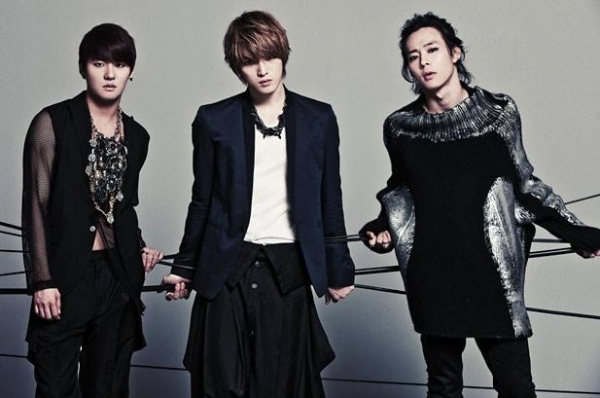 In July, the Fair Trade Commission laid down a prohibitive order against the organizations guilty of systematically interfering with JYJ’s activities. However, JYJ’s activities are still being interfered with by the broadcasting company in charge, despite the fact that JYJ have valid reasons for attending the event. Regardless of the Fair Trade Commission’s prohibitive order, it has been revealed that the celebrity industry is still engaging in unlawful activities as it is controlled by the influence of a large-scale entertainment agency. Two years ago, a similar controversy took place while JYJ were active as the honorary ambassadors of Jeju Island’s 7 Natural Wonders of the World bid. 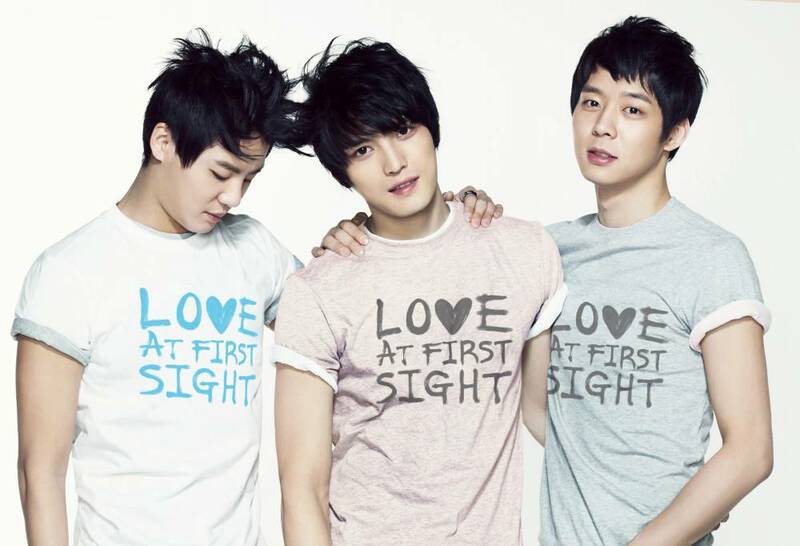 Even then, JYJ continued to do their best to fulfill their roles as honorary ambassadors. This time will be no different. JYJ will tour Asia as the honorary ambassadors of the and do their best to increase the awareness of the event, as well as the cultural excellence of Korea. Also, they will do their best to fulfill their responsibility of getting Incheon known throughout Asia, through a true cultural mission rather than a musical stage that is a mere formality in name. Last of all, we would like to thank the Asian Games committee and the Mayor of Incheon who recognized JYJ’s value as honorary ambassadors of the and did their best to rectify the situation till the very end, despite the absurd external pressure that faced them. As this statement was an untruthful report that may cause readers to misunderstand the situation, we requested that they release a statement rectifying the content that provided false information to many people. However, ’s recent apology on their mistranslation of the interview was not 100% in accordance with the solution we had requested, so we will strive to properly explain and rectify the problem with and reporters of concert culture. The people who came to watch <Mozart!> in 2010, and were who loved musicals and had a certain level of affection for these productions. We believe it is wrong to simply classify these , who gave all of their applause and cheers to the cast and crew for putting all their passion into their work, as . Because of this, we hope that the official statement and apology that was released was created to highlight and rectify the false information that was reported to who love the musical ‘Elisabeth’, rather than being directed towards a certain or .